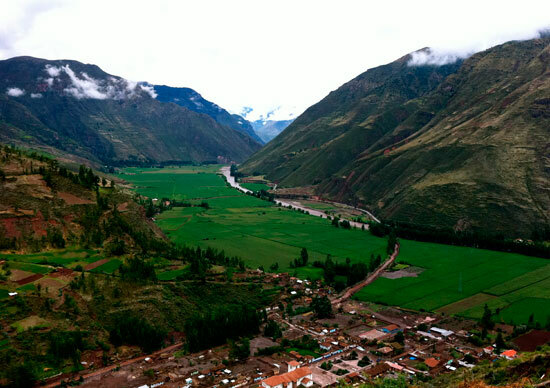 Experience classic Peru touring South America’s ancient Inca sites. Visit South America and travel to Peru on an adventure from mountains to jungle, and seasides to great plains. Visit Peru’s incredible natural and historical highlights on this awesome adventure. Retrace the steps of the Incas to Machu Picchu, admire colonial cities, explore vibrant markets and meet the locals in this South American country with a difference. Return home with incredible memories of the panoramas and people of Peru. Admire the ornate churches and palaces that line Plaza Mayor on a guided walk through the city’s well-preserved historic Centre. In free time, pop into a museum or sample some typical Peruvian fare at one of the well-heeled local eateries. Catch a morning flight to Cuzco and spend some time acclimatizing to the altitude – coca or muña tea may help. Take a slow stroll around the Inca-built walls lining the cobblestone streets or head to the central plaza and be immersed in the local life and customs. Travel through the lush, fertile Sacred Valley, once a primary Inca life source; maize crops can still be seen adorning the landscape. Spend the night in Ollantaytambo, an Inca town designed and constructed to staggering geometric precision. Spend the day at Machu Picchu – Peru’s veritable jaw-dropper. Explore the iconic ruins with a local guide, taking advantage of the awesome photo opportunities. 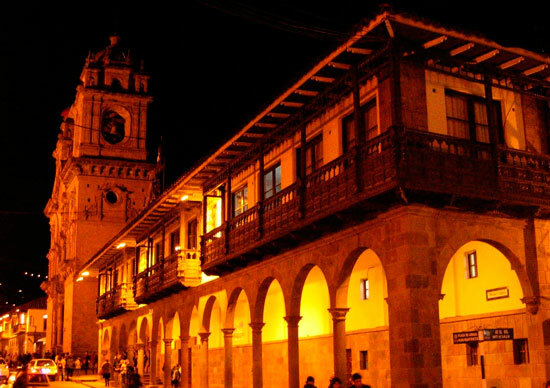 Travel back to Cuzco for another night in this beguiling city. Soak up more of Cuzco’s sights, either by venturing to the stone ruins that dot the city’s outskirts or through hitting the mountain bike trails further afield. Spend the night in Puno before setting off to sail the waters of Lake Titicaca. 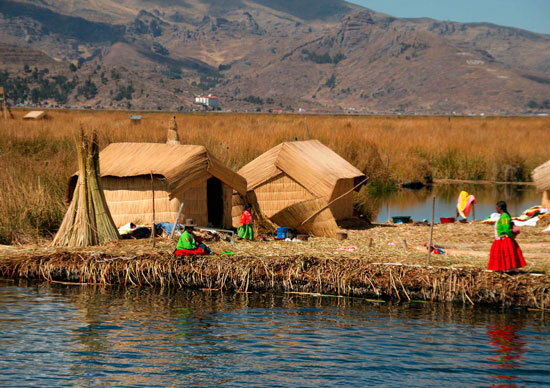 Visit the intriguing floating islands of Uros, fashioned entirely from totora reeds, and be welcomed into the home of a friendly local family for an overnight stay. Participate in a lively game of soccer or pick up some quality knitted goods. Return to Puno for a flight back to Lima. Spend another night in this cosmopolitan capital city before this wonderful Peruvian journey finishes up. Notes: Name and passport number are required at time of booking. Delays to provide this information may result in third party booking fees. A single supplement is available on this trip except on day 7 at the Lake Titicaca homestay.